When brainstorming advertising strategies for your business, it can be a challenge not to fall into old habits and go with the methods that are most familiar to you, especially if you have been using the same methods for a significant period of time. But in order to reach new potential customers and move them further along your sales cycle, you’ll have to step outside your comfort zone at some point and try marketing techniques that are a little less conventional. 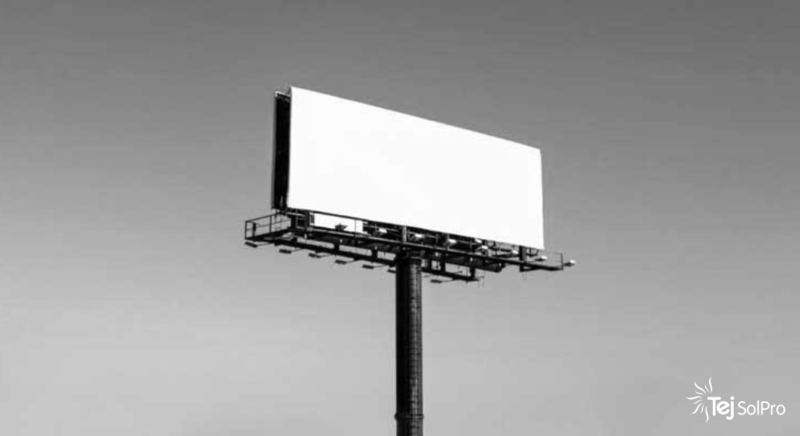 These lesser-known, alternative ways to advertise are sometimes avoided by business owners who prefer confirmed, established strategies with substantial amounts of proof. But contrary to popular belief, alternative advertising ideas can gain just as much traction, and often lead to impressive, lucrative results. The key, however, is knowing which non-traditional marketing techniques have the greatest potential for success, and implementing these techniques in a way that is exciting, original, and worthwhile. Too often, entrepreneurs invest in various types of alternative marketing without properly researching each method or closely monitoring the performance of their campaigns. This can lead to blown budgets and less-than-ideal conversions, forcing business owners to go back to the drawing board feeling disillusioned. So, which alternative advertising ideas are most reliable? And what can businesses do to increase the likelihood of their strategy being a success? These are the questions we’ll be tackling in today’s post. When people hear the term “product placement”, they typically think of celebrities drinking from Pepsi cans in music videos, or watching action heroes drive off into the sunset in a luxury brand sports car. But product placement isn’t a marketing strategy reserved only for the Hollywood elite. In fact, it can be one of the most impactful methods of advertising a business when executed correctly. The main objective of a product placement campaign is to have an influencer use your product and endorse it, exposing their followers to your product and ultimately increasing your brand recognition. But in order for this to work, your chosen influencer must be relevant to your target audience, and be regarded as a credible source of information. Before sending your products or information out to industry experts, social media influencers, or publications, you need to do your research and identify product placement opportunities that align with the mission and vision of your business. In one of Netflix’s largest movie releases of this year, To All the Boys I’ve Loved Before, the fast food chain Subway is prominently featured. And while one could argue that having your product featured on any Netflix program would be advantageous, this alternative advertising idea is especially noteworthy. Why? Because the main characters in the film are in high school— an age demographic that just so happens to be Subway’s target market. Additionally, Subway products don’t just appear in the movie. They are actually spoken about by the main characters and contribute to the plot of the film. In one scene, the character texts her friend about a Subway food craving, which results in a change of events. This makes the product placement even more noticeable, while maintaining a natural, subtle approach. We appreciate this well-executed campaign because Subway identified a product placement opportunity that would allow them to go directly to their target market, meeting them where they already are (watching Netflix). Subway knew that 39 percent of teens aged 13-18 subscribe to Netflix, and they intentionally used that fact to their advantage— a fantastic business decision! Did you know that in-app advertising is set to triple in value in the next few years, going from $72 billion in 2016 to $201 billion in 2021? It’s a fact that many marketing experts have taken note of, and for good reason, since in-app advertisements produce more than double the click-through rate of web-based ads and 13.5X as much revenue. 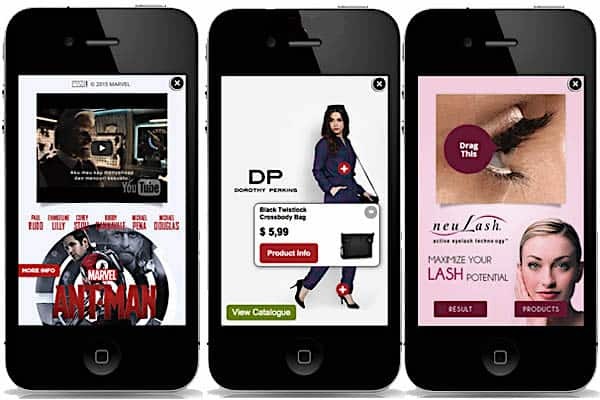 In order to fully capitalize on making in-app ads one of your strategic alternatives to traditional advertising, however, you have to ensure that your ad creative is flawless. Be sure to experiment with different types of visual content to find the ad format that works best, using A/B split testing and consistent monitoring. Without constantly checking in to see how your ads are performing, you could end up wasting your advertising budget on ads that generate minimal click-through, so this step is always crucial. Once you find a format that produces adequate results, stick with it, and give your campaign time to grow. Remember, the average click-through rate for in-app ads is 1.53 percent, so use this number as your benchmark and work diligently to surpass it. Nothing strengthens your online brand more than solidifying yourself as leading informational resource, and guest blogging is an excellent way to do just that. In fact, marketers who prioritize blogging efforts are 13X more likely to see positive ROI. But to yield the best results, businesses must first create compelling, new, and engaging blog posts. One way to increase the efficacy of your guest blog posts is to find eye-catching images to accompany your articles. This is particularly important, because blog posts with images get around 94 percent more views than those without them. Additionally, it’s imperative that businesses focus on quality over quantity when it comes to guest posting. You want to have your articles published on websites that already have authority and that have a loyal follower base. This way, the backlink that the publisher provides will be more likely to boost your SEO rankings. It’s also important that the websites you guest post for are relevant to your own target market. Of all the alternative ways to advertise, the success of a guest blogging initiative really does depend on the relationships you form with other content publishers. Be sure to focus on sites that are within your industry, or directly related to it. Lastly, you can use one of the many blogging outreach tools available on the market today to find guest posting opportunities that are a good fit for your business. By implementing these types of alternative marketing strategies, you can diversify your advertising efforts and reach potential customers you may not have reached otherwise.